Do you like line dancing? Always wanted to try and learn? We will start with some beginner line dances and slowly progress. One thing for sure is you are going to have some fun and laughs while the McHughs are teaching. 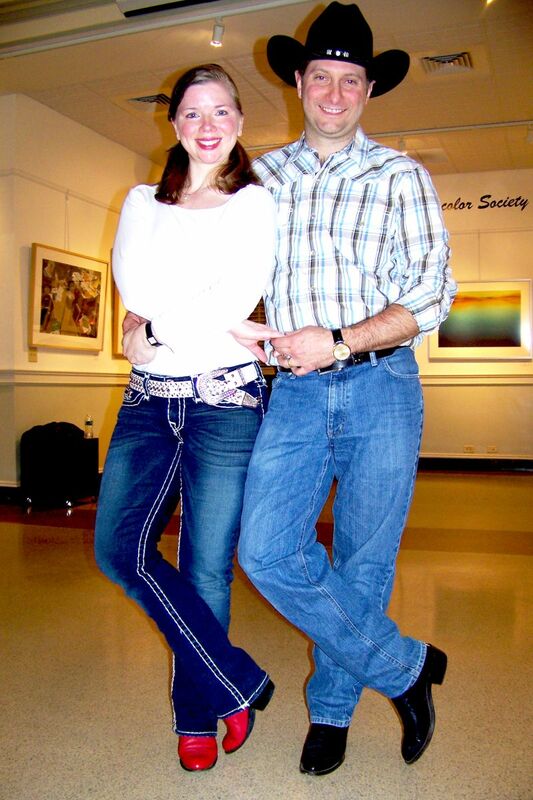 We will cover country as well as many other genres of music and fun styles of dance. Bring your dancing boots or shoes if you like! This class meets in the Owl Hall on the main level of the Education Wing. The last class will be on May 7 from 6-7pm. Wear something that you feel comfortable in. With over sixteen years of professional ballroom dance instructional experience, and over 23+ years of business management in retail, restaurant, hospitality and hotel experience, Doug McHugh is passionate about ballroom dancing. Doug’s first experience with social dancing began in his teen years when his father was teaching social dancing at a community center. He joined the Pittsburgh, PA Arthur Murray team in 2000, where he certified both the lead and follow movements of all the major ballroom dance styles. A quick study, he began teaching and competing with students in as little as 3 months. Since that time, Doug has continued to teach independently with his wife, and all while working full-time in the hospitality and retail management industry. In 2012, Doug officially founded Ballroom Bliss, a full-time ballroom dance instruction business on Cape Cod. His mission is to share his love of ballroom dancing with people of all ages and backgrounds, and especially to mentor kids, teens and young adults who are open to learning ballroom dancing. Ballroom-Bliss specializes in swing exhibitions, group lessons, and private instruction for social and competition style dancing, Doug is also well known for his choreography with weddings and more.